I’ve always loved visiting churches, temples, shrines and other places where people worship. When you’re traveling, it can give you a glimpse into the place’s history or culture. You see what people hold dear, what they believe in, what customs and traditions they have upheld through the centuries. In the Philippines, Catholicism is the predominant religion. Three centuries of being a Spanish colony can do that to a country. Based on historical accounts, the province of Cebu is where one of the rulers of the country first converted to Christianity together with his subjects. It’s also where the Basilica Minore del Santo Niño is located, believed to have been the oldest church in the country (until the original structure was destroyed in a fire in the 16th century) and its site is where the oldest Catholic image of the Santo Niño (Holy Child Jesus) was found from the 1521 Magellan expedition. That’s a lot of Catholic history. 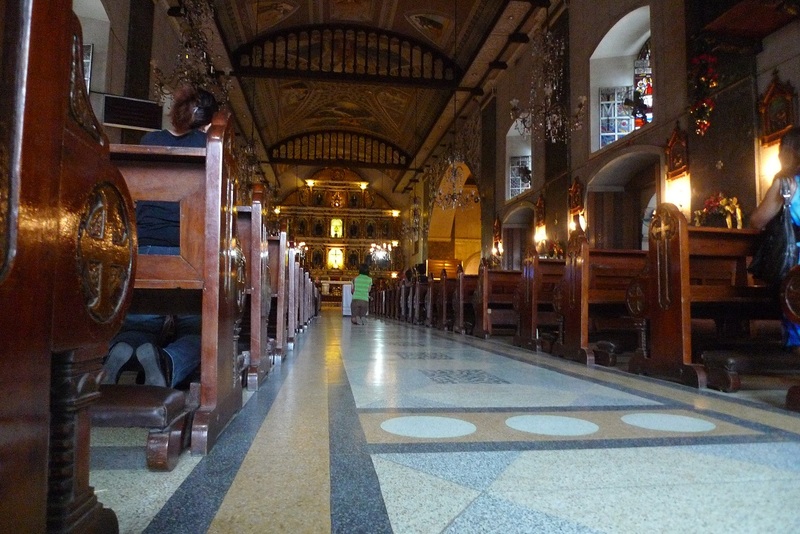 So when we went to Cebu, P and I visited the Basilica. The atmosphere outside the church is just like any other large Catholic church in the country, bustling with activity outside and quiet and somber inside the church. A devotee praying on her knees was moving towards the altar. People were lighting candles. There was a room filled with statues of different saints and a few stood in front of them, whispering their prayers, dropping donations in boxes. All familiar rituals. In Japan, visits to its Shinto shrines and Buddhist temples revealed rituals I was curious to understand. With majority of Japanese subscribing to Buddhism and Shinto, temples and shrines are their places of worship. Or also known as the day I was supposed to run in the Angkor Wat Half-Marathon. For all the planning in the world, sometimes the world has a plan of its own. I had to have a medical procedure done a little more than a week before we left for Vietnam and Cambodia and my doctor was not exactly too keen on me even running a 10k until we knew the result. It was something I wanted more than running in the race so even with our race kit ready to be picked up in Siem Reap and my running gear in my backpack, the day before the race, I finally decided not to run. The day of the race though was not wanting of physical exertion (but not of a half marathon variety). Aside from having to walk around more temples, the day involved climbing up a hill and some of the steepest stairs known to man. I didn’t get a chance to cross a finish line that day, but did manage to find a speck of fulfillment in the day for not rolling down some steep temple steps. Our first temple for the day was almost an hour away from town via tuk-tuk. 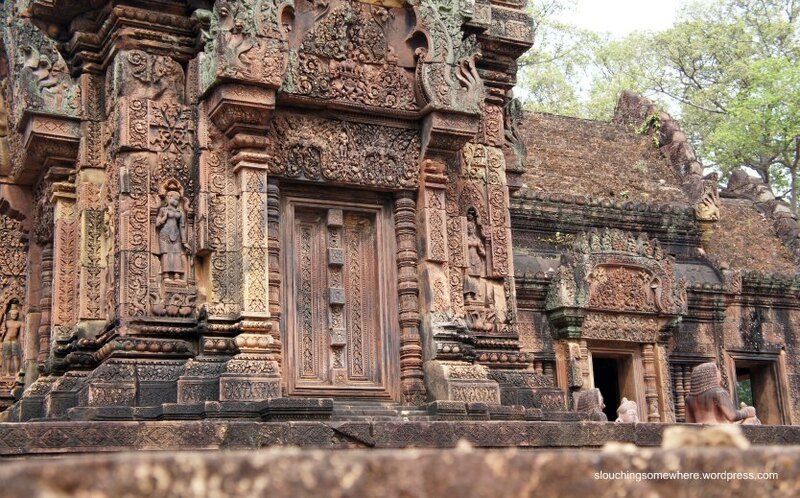 Banteay Srei is around 38 kilometers from Siem Reap but many tourists still go out of their way to see it; it has been dubbed one of the most beautiful temples in Angkor for its very elaborate carvings and red sandstone walls. 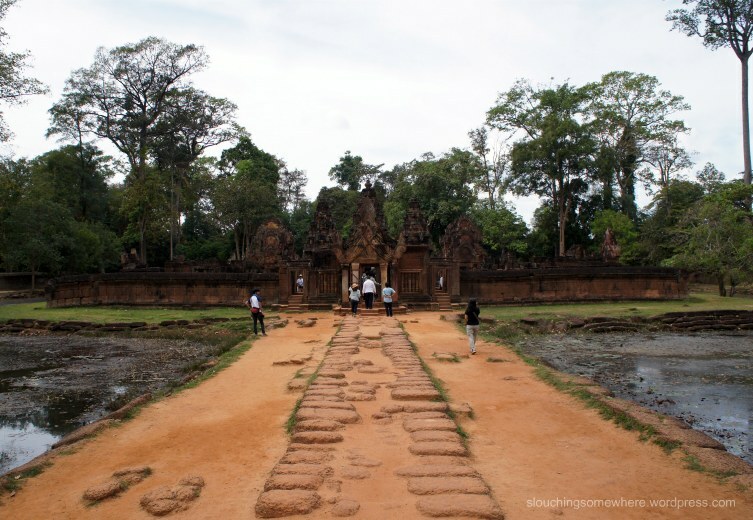 Travel guides will tell you that it is best seen before 10 a.m. and after 2 p.m. We wanted to start our temple hopping a bit late: left town by 11 a.m. after going around the Old Market area and got there in the Banteay Srei right smack at noon. But even with the harsh high noon sun, you can’t miss the temple’s predominantly striking shade–different from most of the other temples’ walls. We stopped at Pre Rup on the way back from Banteay Srei. The moment I saw it–its lofty towers, high stairways and people making their way to the summit–I knew I wanted to see it up close. Since we only had four days in Cambodia, and days one and four were going to be spent on the road, we decided to take a tour of the Angkor temples on both days. Friends had told us that three days of temple hopping would be enough, beyond it and you might find yourself all ‘templed’ out. 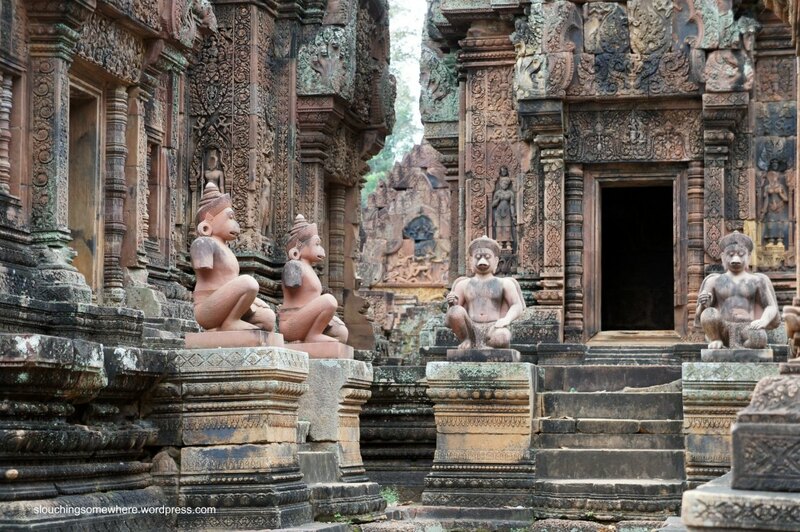 (Unless of course you’re an Angkor or archaeology enthusiast, then you can be there for weeks.) Two days for us regular tourists meant exploring Angkor Wat and the other temples in its vicinity for Day 1 and going to the farther temples on Day 2. After spending the early morning in Angkor Wat, we told our tuk-tuk driver Savin (from Angkor Discover Inn) that we wanted to see Ta Prohm and Angkor Thom for the rest of the day. We appreciated it that he also suggested additional temples along the way. 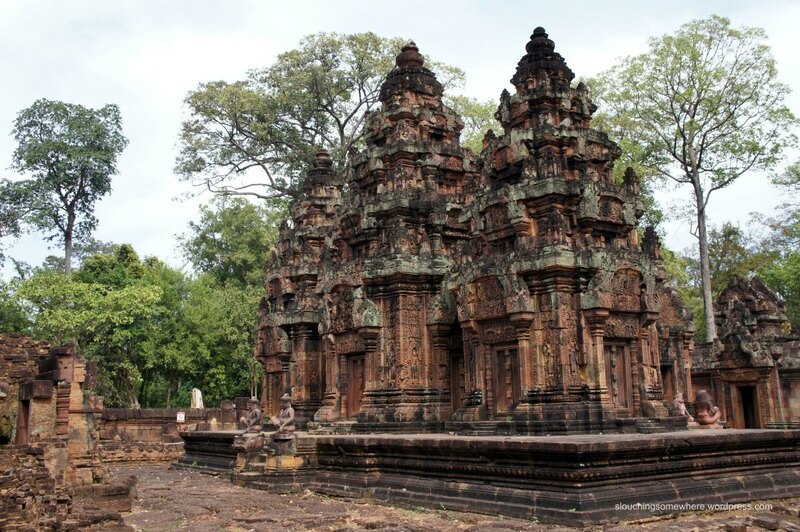 On the way, we passed by Banteay Kdei and Savin suggested we also take a look inside. 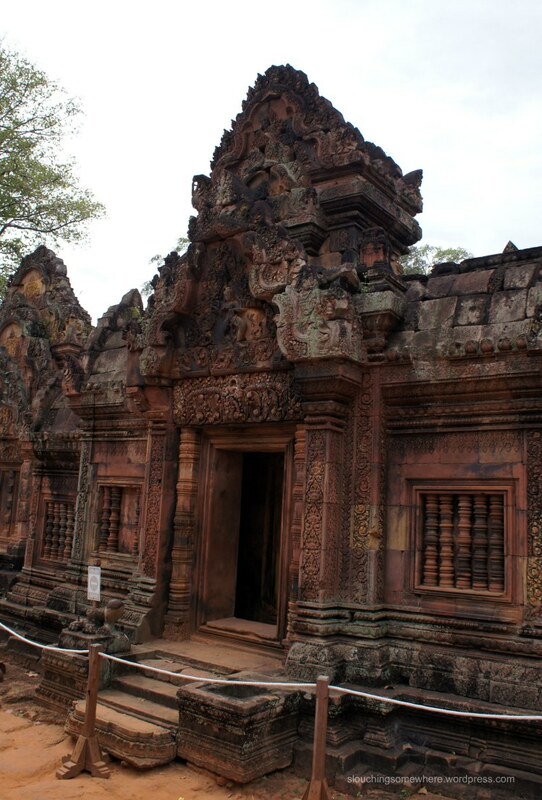 It’s supposedly built in much the same style as Ta Prohm. A look at the free Siem Reap Angkor Visitors Guide will tell you that it was also “built using an inferior grade of sandstone and using poor construction techniques,” which has lead to much of its deterioration. That and the jungle. But if I thought Banteay Kdei was in a bad state, it seemed a much larger area of Ta Prohm was in worse condition. It was undergoing major renovation so more areas were inaccessible to tourists. After a few minutes walking within the temple, I started wondering in which part you could see those huge trees. Though they’re probably the reason why much rebuilding or restoration was happening. Those ancient temple walls and doorways and corridors do not stand a chance against massive trees. Unless of course there’s a chain saw involved. After being on the road for almost 14 hours the day before, traveling to Siem Reap in Cambodia from Ho Chi Minh City in Vietnam, flying from Manila two nights ago, we finally found ourselves standing in front of the main temple of Angkor by sunrise. I was happy and grateful just being there, looking at the silhouette of those five towers while the sky came alive in gorgeous shades of red, orange and pink. For years, I’ve wanted to see Angkor Wat. Sure, it’s become one of the most touristy places on earth and watching the sunrise is one of the most touristy things you can do when you visit Angkor (another is the sunset at Phnom Bakheng, more on that in another post), and you’ll be among hundreds of others who made the trip, most of whom will likely be blocking your “perfect sunrise over Angkor shot”, but that doesn’t really matter. It doesn’t take away the fact that you’re right in front of something beautiful that has withstood centuries, including the decline of an ancient empire and genocide. I could only imagine how many sunrises this 12th-century temple has seen. Even if we got stuck in horrible Bangkok traffic on our first morning in the city, the fact was we still got to do what we had planned for the day. This included taking a boat along Chao Phraya River, considered Thailand’s lifeblood, to Wat Pho, Bangkok’s largest and oldest temple dating back from the 16th century. Initially, we planned to check out the two on separate occasions: make our way to Wat Pho then ride a river cruise down Chao Phraya. But my resourceful sister, who pored over the Bangkok map, found that we could simply take the BTS SkyTrain (take Sukhumvit Line from On Nut, where we were coming from, to Siam station; then at Siam, change to the Silom Line) to Saphan Taksin station, where the Central Pier (Sathorn Pier) is located nearby. 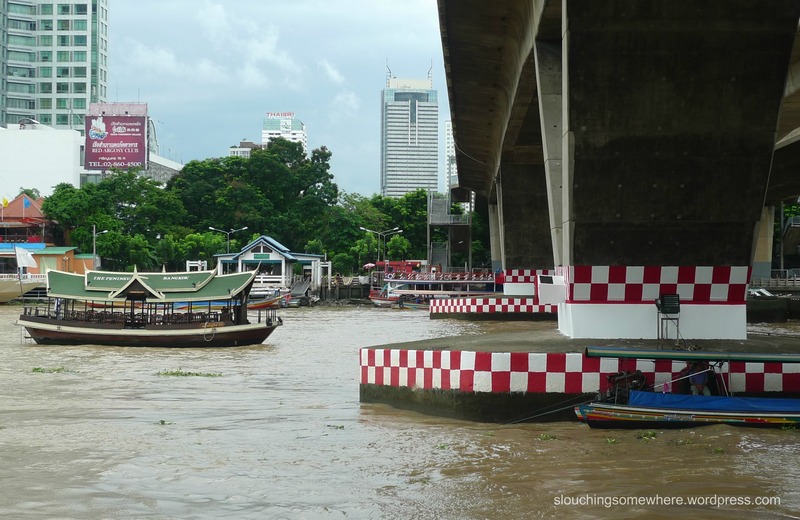 This is where the Chao Phraya Tourist Boat docks and for 25 Baht, the boat stops in several piers including the Tha Tien Pier, where Wat Pho is a short walk away.